Working from another platform other than a conventional office does have its limitations. Communications can be limiting, even with online applications that allow business to hold meetings online. Not having the requisite office space can make reserving meeting room space very difficult much less make meeting with clients just as awkward. Then, setting up an infrastructure that adequately supports your business can also be difficult without the right organisation. The virtual office, however, can give your business not only the infrastructure but also the support for a business, regardless of the size. 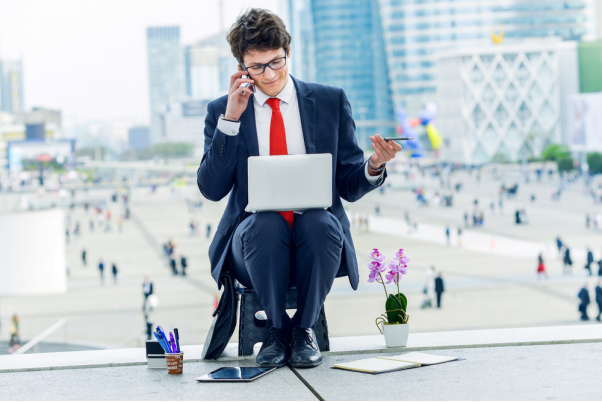 Start-ups are finding the virtual office a cost-efficient way to run a fledgeling business and SMEs and larger businesses find that in instances where remote work is needed the virtual office can be of assistance. Today’s businesses, in a nutshell, can get a lot out of the virtual office. Continue reading to learn about how the virtual office can support your business’s platform. With the diverse business population in New Zealand’s, opportunities are rife to connect with multinational companies operating in the country, especially in the country’s larger cities. More importantly, this diversity lends itself to the chance of doing business in other locations. Virtual offices can be of assistance to businesses who need to reach into the international market but who do not necessarily have the resources. Through a virtual office – Servcorp, for example – your business could be managed in any international centre in the country and have the reach into international markets. Businesses will see a reduction in overhead simply because the virtual office negates the need of occupying space every single day of the calendar month. However, businesses can also enjoy some additional savings simply because much of their work is online. For example, a business deciding on adopting a paperless platform will not only contribute to the preserving environment but over time you can save countless dollars on printer ink and paper. Then, there is the matter of purchasing folders and file cabinets used to store information. This particular task is completely eliminated with an online infrastructure that can also store important business documents. The virtual office can make for more opportunities in the online atmosphere simply because the reach is greater. In fact, the internet has created a community of people from around the world that can interact with each other for business or pleasure. For business, this has allowed professionals from very different parts of the world to engage in business in the online community. Through the online community, businesses have also been able to also create an identity for their brand. In addition to researching the prospective target population, your online campaign can include a social media marketing one that attracts customers to your product or business. Your virtual office set up in any location gives you both the onsite and online tools to create the campaign needed to flesh out your brand’s persona. One of the best benefits of the online platform through the virtual office is that businesses can outsource more of their work, and quickly, simply because the online talent has provided a marketplace where employers can easily find talented contractors and freelancers. In many ways, the virtual office has the potential to really change the way in which companies build their business structure. This is because so much of modern technology allows businesses to tap into the contracting/freelance market as opposed to hiring professionals traditionally. Everyone with a device and an internet connection can benefit greatly from the inroads technology has made in making office work easier. Whereas past remote offices made office work clumsy, today’s virtual office has streamlined many tasks simply through the addition of the various apps. The virtual office can do much for business, and in the hands of the right company, it can create the next empire.